Flowers for Mother’s Day are so last year (and if you’re like us, the year before…and the year before that, too). If you want to really show your Mom you love and appreciate her, get her flowers she can take everywhere she goes: a floral iPhone case from Speck! 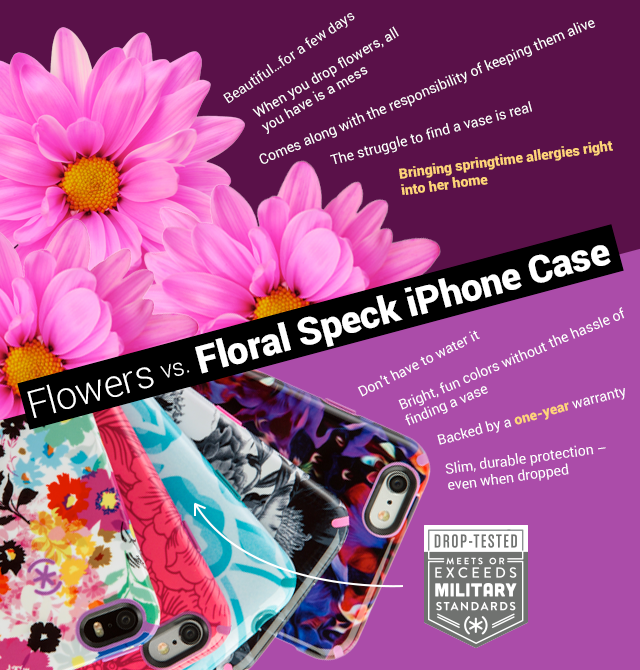 As if you need more convincing, we’re comparing your average bouquet of Mother’s Day flowers to a sleek, slim iPhone case. Check it out above.